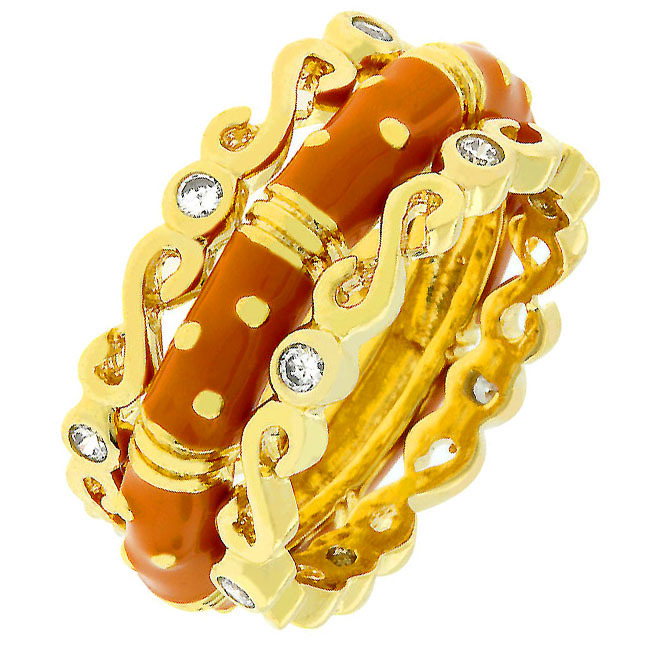 Have triple the fun with this Orange enamel gold tone ring. Wear them all at one time or only wear one. 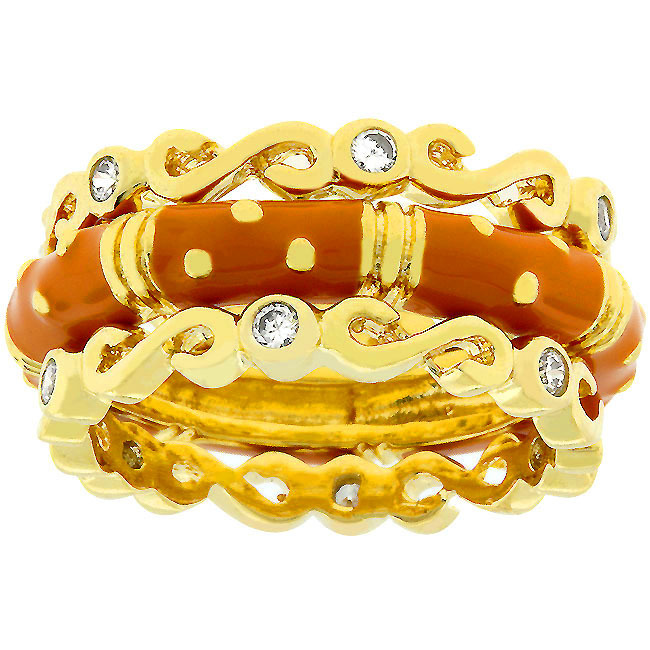 You chose your style and stack 'em up. 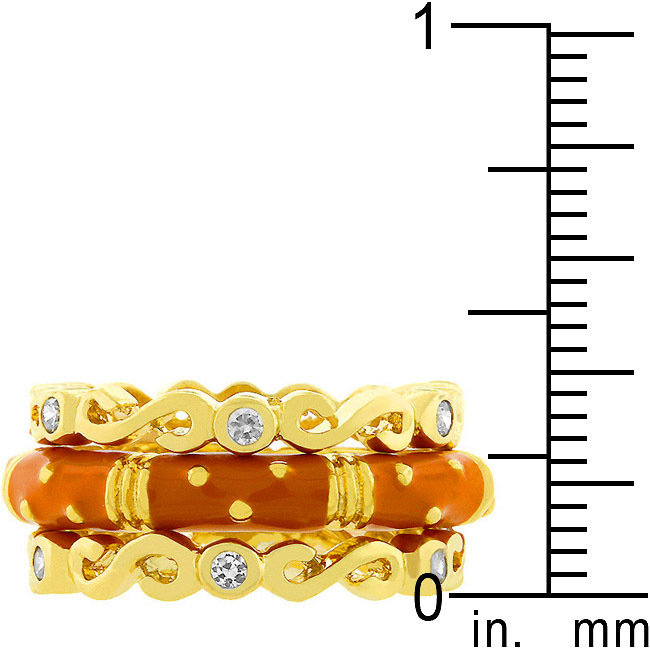 Check out our other triple sets. 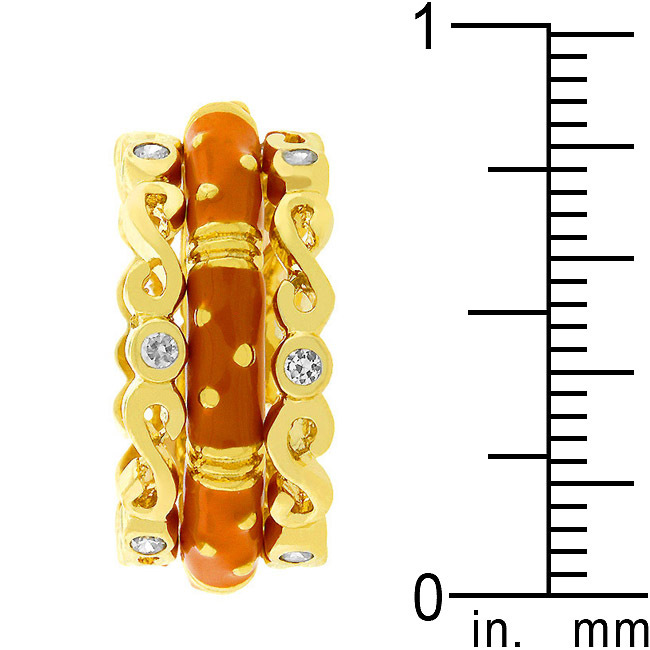 18k plated gold is achieved using an electroplating process that coats the item with heavy layers of 18k Yellow Gold and color-treated to display a perfect 14k Hamilton gold color.